Independent Chairman of the Arson Prevention Forum Lee Howell has called on everyone to play their part in tackling fire-crime ahead of Arson Awareness Week (21-27 March). CFO Howell said: "Arson accounts for almost half of all fires attended by the fire and rescue services and can have devastating effects in terms of its cost and consequences. "The Forum brings together those with a responsibility or interest in reducing arson and challenges them to do more. We have seen progress, but there is still work to be done. This is where members of the public can help. Arson is a significant drain on our resources and can put lives in danger, destroy buildings and be devastating. Arson must be reported. If you see anyone setting a fire deliberately, 'don't accept it, report it’." 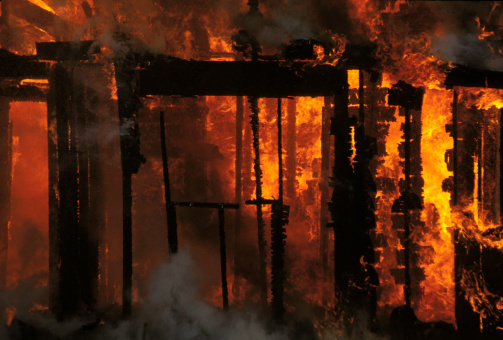 Insurers report that arson costs over £1bn in fire-related claims each year. Damage to property, business interruption and other inconvenience caused by arson is significant. Deliberate fires cost a vast amount of money, but also endanger life, with a significant number of lives lost as a result. In 2014/15, 50 people died in fires that were started deliberately. The forum identified a recent fire and burglary at an Age UK shop in Yeovil as an example of when videos or photos from members of the public have helped Police and Fire Arson Investigators in their investigations and CFO Howell encouraged members of the public to always report any suspicious activity.